Preheat oven to 425 degrees. 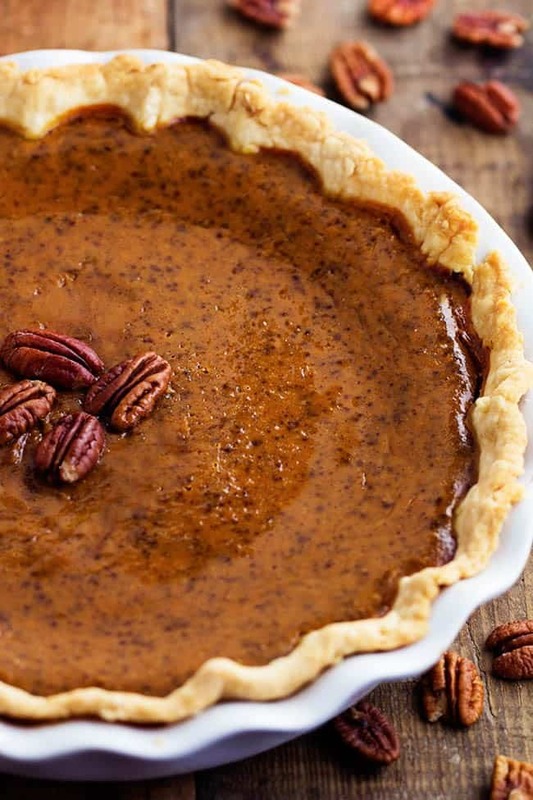 Prepare pie crust recipe and set aside. In a large bowl mix together sugar, cinnamon, salt, ginger and cloves. Add eggs, canned pumpkin and evaporated milk. Mix until fully combined. Pour the pumpkin mixture into the prepared pie crust. Bake at 425 degrees for 15 minutes. Reduce heat to 350 degrees and bake for an additional 40-50 minutes or until toothpick inserted comes out clean. Cool on wire rack for 2 hours to completely cool. Serve immediately or refrigerate. Top with pecans and whipped cream if desired.